Cookbook Review, Interview and Giveaway! I was really excited when this cookbook landed on my desk for review, not only because I love cookbooks but because I love – LOVE – cookbooks that have a story behind them. I want to read about how the recipe came about, who the cooks where that created and built on this recipe, and who they cooked it for. This book has all of this in abundance! Tanya Bartolini’s grandparents and great grandparents emigrated from Italy to Australia to forge a better future for their children, and along the way the whole family have adapted traditional recipes to suit what was available and delicious in their new home. 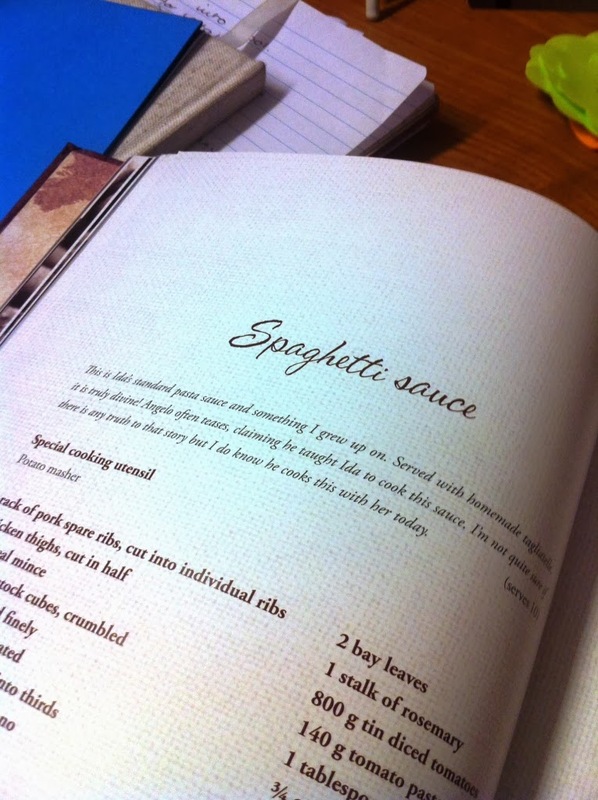 Some genius adaptations have resulted, but Tanya also shares some authentic old school Italian recipes as well. I have been pestering a tight lipped Italian friend for years for her recipe for spaghetti sauce to no avail, and I was delighted to find that thankfully, Tanya shares her Nonna Ida’s recipe! Tanya is obviously very generous to share her families recipes, and was kind enough to answer some questions. grandparents bought tears to my eyes! Was it difficult to hear them open up? to help give me the life I live today is nothing short of inspirational. What are your five favourite ingredients that you couldn’t live without? are your favourite herbs to grow and cook with? particular Italian items that you cannot do without? usually from Clayfield Fresh Markets in Brisbane. have found in a traditional Italian recipe? gives the chicken a fabulous taste. planning a follow up cookbook with more recipes? travels and also inspired by my family in Italy. Watch this space. Sounds exciting! What else is next for you? have 10 minutes to spare. Would you like to win your very own copy of Blending the Cultures, by Tanya Bartolini? Just leave a comment about cooking. I would love to hear how you improved on a family recipe or what your secret ingredient is, but hey, you are the cook, it’s up to you! This is a competition of skill. The winner will be announced on the 18th of December. Make sure you have a valid email address so I can let you know, and hopefully you will receive this in time for Christmas! The prize will only be sent to an Australian address. Good luck! 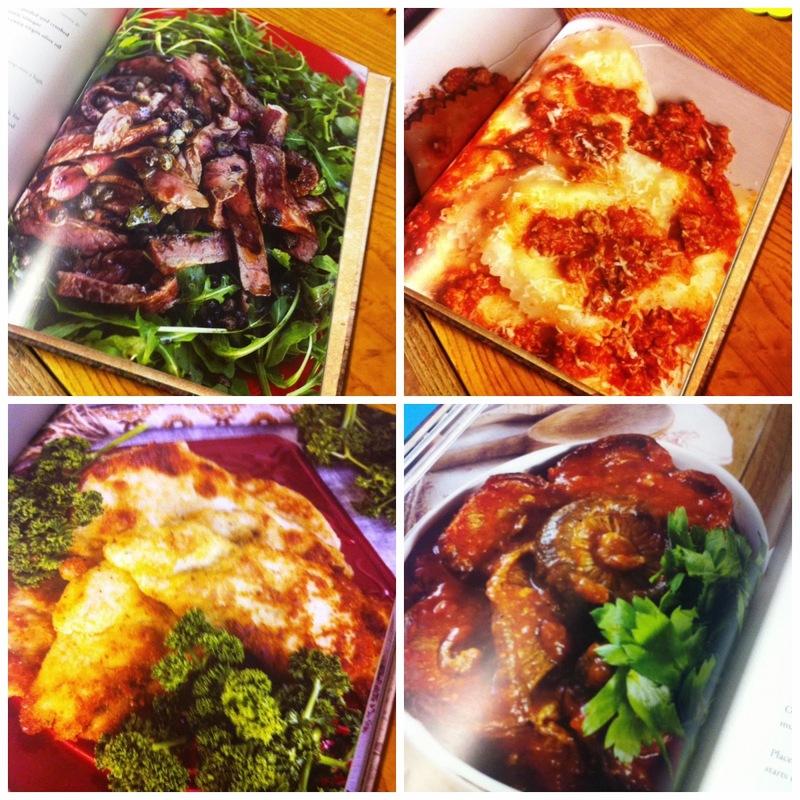 The winner of this beautiful cookbook is EMILY! Thank you to everyone that entered. I'm sure it's not a scratch on Nonna Ida's spaghetti sauce recipe but mine goes down a treat with my family (my stepdad likes it more than my mum's – whoops!) My secret ingredient in my spaghetti sauce is…wait for it…milk! Yep, once all the tomato-y, saucey, meaty goodness has simmered for a little while I add a small splash of milk (you can even use it to rinse the last bit of tomato sauce out of the jar) and stir it through to simmer for a little longer. It adds such a rich sort creaminess to the sauce and brings out the depth of flavours in the rest of the ingredients. The end result sauce is like a big warm soft silky rich cuddle through a doona. If I'm feeling fancy I'll also chuck in some olives from time to time. Wow, really? I have never heard of that, but I sure like the sound of a big warm soft silky rich cuddle through a doona! Great interview and review. I'm not entering because I don't know enough about cooking to leave a good comment – actually, I am entering, because that's exactly why I need this book! The only thing I do to a recipe is replace green onions with spring onions in Asian cooking because easier to find and cheaper! GENIUS. I love the look of this book, as I also have many family recipes that have been handed down over the years. One of my most treasured items is a very crappy looking yellow 2-ring binder that has all our family recipes within. Including a typed up list from 1968 (the year my parents married) of my father's favourite foods, that my grandmother gave to my mother. Complete with many of the recipes. The main change I make to many of the savoury family recipes is to add a couple of drops of Tabasco, particularly to mum's spaghetti Bolognese recipe – it just lifts it a little. Yum! My cooking secret is to use a pressure cooker. I whip out delicious home made meals in minutes! Pressure cooking is also far more efficient than using multiple pots on separate burners, and can result in significant energy savings. Hi Cyndie! I've never used a pressure cooker but I remember my cousin using one to explode a Christmas pudding all over the ceiling. Exciting! I love my soy sauce. It makes all my cooking tastes awesome. Do you know, KK, I don't think I could survive without soy sauce. I use nasturtium leaves and flowers from my garden. The flowers brighten up salads and platters. The leaves are peppery and can be used in salads also or used as the base of pesto. Blend the leaves with a little oil to make a paste that replaces wasabi in sushi. Added to that it's good for you, looks great in the garden and is easy to grow! Helen I was just thinking recently that I needed to grow some nasturtium so that I could have a cream cheese and nasturtium sandwich! I've never heard of using it in pesto, but I can't wait to give it a try. My favouritethings to cook with are onion, garlic and chilli, sauce and spice, they make everything taste great!